$2,759.00 This may be in stock for quick delivery; please call! The Gemeinhardt 11AS alto flute features a sterling silver headjoint, body, and footjoint. The depth and warmth of silver enhance the tone of the 11AS, making it an ideal choice for solo and ensemble work. 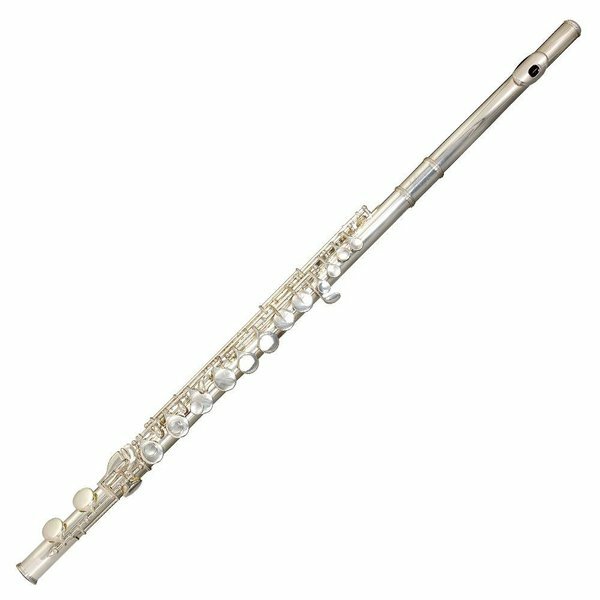 The Gemeinhardt 11AS alto flute features a sterling silver headjoint body, and footjoint. The depth and warmth of silver enriches the tone of the 11AS alto flute and Gemeinhardt's carefully crafted headjoint offers as an easy response in all registers and crisp articulation. Pointed key arm construction provides swift action as well as stability and strength. Available with a straight headjoint (11AS), curved headjoint with solid silver mini-head, and silver plated elbow joint (11ASC), or both headjoints (11ASCD), and comes complete with case and case cover.